Lock in a great price for Alona Swiss Resort – rated 8.4 by recent guests! Quite, relaxing, and good stay for my family because we were able to cook our own food in the apartment. I like that even though the place is about 5-10mins leisure walk to the beach, it is a great value for money resort. It wasn't my first time to be in this hotel, but for sure if i will come back here again i will choose this hotel for sure. The location is nestled in the middle of other properties away from main streets and shielding the property from noise and onlookers. Room was clean and comfortable. All facilities work well. The swimming pool was nice and convenient, and we used it several times during our stay. The room was big, really big bed and comfortable. They have big balcony which is nice to relax. Hotel nearby of Alona Beach, 10min walking and nearby a lot of restaurants. Great value for money, very lovely pool, beautiful trees and flowers in garden. Hotel is nice close to the restaurants, beach and practically everything you need. I definitely recommend this place. Great location right in the heart of alona. I enjoyed my stay at this little quiet resort. Fantastic value for money will definitely come again. Alona Swiss Resort This rating is a reflection of how the property compares to the industry standard when it comes to price, facilities and services available. It's based on a self-evaluation by the property. Use this rating to help choose your stay! Alona Swiss Resort is located in Panglao City just 2,300 feet away from Alona Beach. This beautiful resort welcomes guests with an outdoor pool, comfortable guestrooms and free WiFi access. 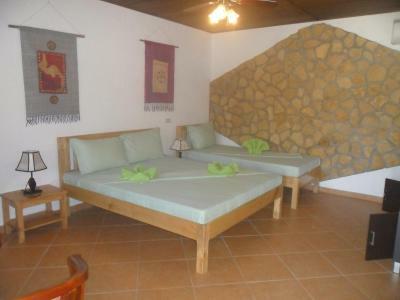 All the rooms come fitted with air conditioning, a seating area and a TV with cable channels. They also have an attached bathroom featuring hot-water showers. Both pool and garden views can be enjoyed from the rooms. Staff at Alona Swiss Resort will be happy to assist you with laundry services. The accommodations also provides free parking facilities and for guests’ convenience, airport shuttle services can be arranged at a surcharge. If you feel like visiting the surroundings, check out Danao Beach located 0.9 mi away. Tagbilaran Port and Tagbilaran Airport are both 30 minutes away by car while Mactan Cebu International Airport is 55 mi away. 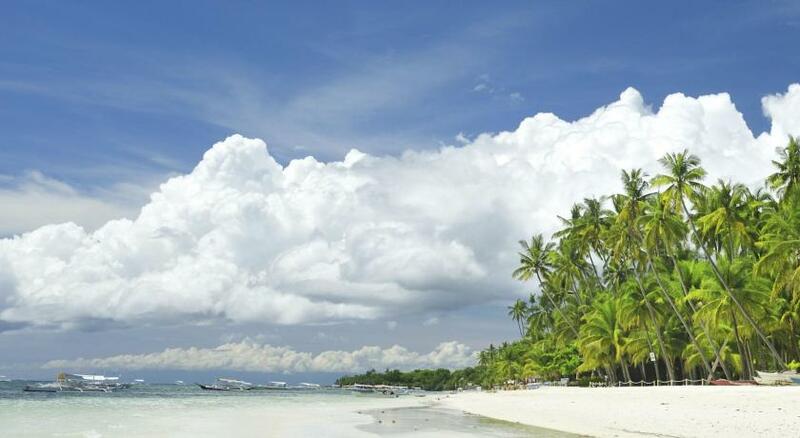 This property also has one of the top-rated locations in Panglao Island! Guests are happier about it compared to other properties in the area. This property is also rated for the best value in Panglao Island! Guests are getting more for their money when compared to other properties in this city. When would you like to stay at Alona Swiss Resort? These comfortable air-conditioned rooms feature a cable TV, a seating area and air conditioning. 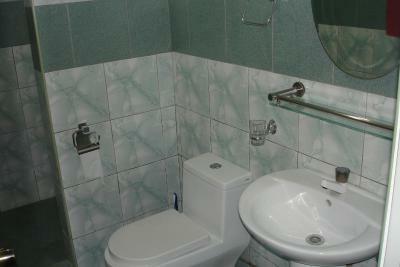 It has an private bathroom with hot/cold shower facilities. This room type cannot accommodate any extra bed or extra person. This bungalow features a mini-bar, seating area and air conditioning. It includes a fully furnished kitchen, a private terrace with a garden, a flat-screen cable TV and an electronic safe. This spacious apartment features a large balcony overlooking the pool, 2 separate bedrooms with private bathrooms, a dining table, a living area with a sofa and TV. House Rules Alona Swiss Resort takes special requests – add in the next step! Receptionists not friendly at all. Every time you speak with them you feel that you bother them. The man that was working during the night, open always the entrance door, he was amazing and super friendly. He had always a smile nice words. Hotel quite noisy because of the chickens. They need to have mosquito repellent spray. A lot of mosquitos in the bedrooms and toilets when we first arrived. way to the property is very narrow and muddy road. Staffs lack the professionalism. poor stay. Just several minor inconveniences, no deal breakers. Payments in cash only. Since it's a large amount, it drained us from all exchanged PHP, and we needed to exchange more currency immediately after. Additionally, we found out several rooms were missing the toiletries, and we had to go ask for soap etc at reception to receive them. Also, many of us found many mosquitoes within the room. They did provide a bug killer spray on request, so it was much better after the "fumigation". Finding the place was a bit of a challenge as the signage is on the wrong side of the road (you can not see it) when you come from the main road. The place is great value for money, a relatively small resort with a nice swimming pool. We stayed in a 2 bedroom apartment with a kitchen. The rooms are spacious and the living are is large. great for a family stay I would say. 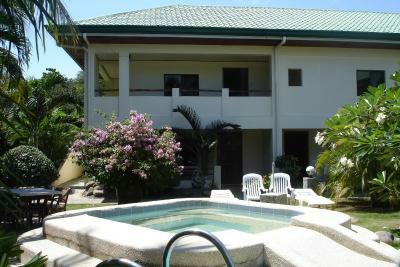 My partner and I liked the pool, housekeeping and close proximity to the town and the beach. Quite,peaceful and relaxing. We will definitely be back. Staff are friendly and helpful. Like a little oasis on alona beach, once turning off the main road it’s the first alley on the left, big enough for 2 people max. Doesn’t look very inviting but once inside the resort it’s beautiful. The night guard was really helpful when we locked ourselves outside within minutes. Seconds from a shop and cafe, and minutes from the beach. It was a good 5 minute walk to the beach. But that's fine with me.